In daily Mass this week we are reading from the Book of Proverbs, in which a common theme is the contrast between the wise man and the fool. 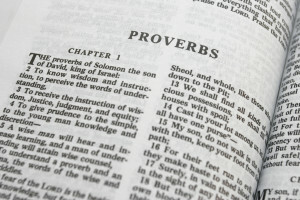 Let’s examine a few passages from the Proverbs. They go a long way toward explaining the ultimate destiny of the wise and the destruction wrought by foolishness and evil. My comments are presented in red text. Blessings are for the head of the just, but a rod for the back of the fool (Proverbs 10:6). God’s law is a great blessing to those who love wisdom. His commandments are not prison walls; they are defending walls. His commands do not limit freedom so much as they frame it within necessary limits. To the foolish, though, to those who despise God’s wisdom, to those who hate discipline and reasonable limits, God’s law—any authority that tries to limit behavior—is hateful and punishing, like a rod on the back. Many today are not simply indifferent to God’s wisdom as proclaimed by the Church and Scripture, they are openly hostile to it! It is like the reaction of someone who has been sitting in a dark room and is suddenly subjected to bright light. He despises the light and protests its presence as something obnoxious and intrusive. Jesus lamented, And this is the judgment: the light has come into the world, and people loved the darkness rather than the light because their deeds were evil (Jn 3:19). A wise man heeds commands, but a prating fool will be overthrown. A path to life is his who heeds admonition, but he who disregards reproof goes astray (Proverbs 10:8, 17). The wise man listens to instruction and strives to base his life upon it. The wise humbly accept that they do not know all things and must be taught by God. Fools, those who hate wisdom, prattle on and on about their own opinions. They believe something is true simply because they think it. The text says that the end of a fool is destruction. Many nations, empires, political ideologies, trends, and philosophies have come and gone over the years, yet God’s truth remains. The wisdom and the Word of the Lord endure forever. He who winks at a fault causes trouble, but he who frankly reproves promotes peace (Prov 10:10). There is tremendous pressure today to remain silent about sin and evil. Those who do speak of sin are labeled judgmental and intolerant. Sadly, many Christians have succumbed to this pressure; nothing but trouble can result from such capitulation. The moral cesspool that is our modern age is evidence of this. The correction of faults, frankly and with love, is an act of charity (St. Thomas Aquinas). Error and sin bring war and division, both individually and collectively, but God’s truth, lovingly proclaimed, brings peace by insisting on what is good, right, true, and beautiful. We live in an age that turns a blind eye to evil. The world often celebrates it in visual entertainment, written media, and music. One can see the destructiveness of the glamorization of evil simply by reading the news. God’s law is His peace plan for this broken world of ours; it is His wisdom that will bring us peace. A fountain of life is the mouth of the just, but the mouth of the wicked conceals violence (Proverbs 10:11). Jesus warned that Satan and those who are evil often masquerade in sheep’s clothing, while underneath they are ravenous wolves (see Mat 7:15). Many in our world today who despise God’s wisdom attempt to conceal their violence by using euphemisms such as pro-choice, pro-woman, no-fault divorce, reproductive freedom, euthanasia, and death with dignity. Despite the cloak of pseudo-compassion, they ultimately peddle death and division. God’s wisdom, on the other hand, speaks to the dignity of every human life, to hope, and to the promise of life in spite of any difficulties. The soul of the wicked man desires evil; his neighbor finds no pity in his eyes (Proverbs 21:6). There comes a steady hardening of the heart of a person who loves evil. As the hardening grows worse, they care less and less for the pain they cause others. They show little pity and don’t seem to mind that they destroy the reputations of others. Their cruelty, both physical and emotional, grows ever worse. The just man’s recompense leads to life, but the gains of the wicked, to sin. Better a little with fear of the Lord than a great fortune with anxiety. Better a little with virtue than a large income with injustice (Proverbs 10: 15, 16). For those who are striving to be just and to follow God’s wisdom, the rewards received are to be shared generously with others. The gains of the wicked, however, lead to sins such as gluttony, greed, and hoarding. Rather than sharing their abundance with others, they spend it on the flesh; they place their trust in creatures rather than the Creator, who is blessed forever. Where words are many, sin is not wanting; but he who restrains his lips does well (Proverbs 10:19). In an age of non-stop communication and 24/7 news reporting, the sin of gossip is an almost endlessly available temptation. Discretion appears to have been lost. Almost everyone thinks he has a right to know everything about everyone else. The people’s “right to know” seems to have no limits. Our age is one of many media (visual, verbal, musical, etc.) and on account of this sin is not wanting. We talk endlessly about other people’s business and often ignore our own issues. Why stay in our own lane when we can “tune in at 11,” read a scandal sheet, or surf to a website for the latest gossip? Rare indeed are those who “restrain their lips” and limit their critique to what is truly helpful unto conversion. Crime is the entertainment of the fool; so is wisdom for the man of sense (Proverbs 10:23). Our culture often celebrates the sins of others as entertainment. On television, in the cinema, and in many other forms of communication, fornication, adultery, and all kinds of sexual misconduct are normalized—even celebrated. It is the same with violence. Most adventure movies today glamorize its use solve problems. We also glorify mobsters and some other violent criminals. Some will argue that movies should reflect life. That is fine, but most people are not killing other people, burning cities, crashing cars, or blowing up buildings. Most people are not involved in organized crime. Sadly, however, there is a lot of fornication, adultery, and participation in homosexual acts. In movies, this behavior seems to bring few negative consequences; in real life, however, the consequences are often devastating. Where are the movies that depict wisdom, beauty, love, truth, chastity, and strong families? There are some out there, but they are far outnumbered by those that celebrate crime, violence, dysfunction, and sinfulness. When the tempest passes, the wicked man is no more; but the just man is established forever (Proverbs 10:25). The Church alone is indefectible, by the promise of Jesus Christ. Although evil movements, political forces, and sinful regimes rise and boast of their power, they eventually fall. The Church has seen empires rise and fall and philosophies come and go. Evil men have threatened the Church with destruction for thousands of years, but we have read the funeral rites over every one of them. The truth will out. Evil will not remain; it cannot last. Christ has already won the victory. The foolish keep resisting; they laugh at God’s wisdom, dismiss the Scriptures, and ridicule the Church. When they are gone, though, we will still be here proclaiming Christ crucified, gloriously resurrected, and ascended to glory. Those who mock this resist the consistent message of history. Jesus is Lord, and though He permits His enemies time to repent, their days are ultimately numbered—evil cannot last. These are just a few proverbs that are particularly appropriate for our times. They help us to understand what God has to say about many modern trends. Here’s a video with some other sayings. In posting this I do not mean to affirm every saying presented in it, but some of them do make good sense! We live in times of great ingenuity; we have a lot of smarts. We’ve been to the moon and back. Our computers can do more and more amazing things, even as we are able to make them smaller and smaller. We can see farther than ever into outer space and look more deeply than ever into “inner space,” doing microsurgery and studying the human genome. Yet although we have become technological giants, at the same time we’ve become moral midgets. Though able to solve complex technical problems, we can’t figure how to stay faithful to our commitments or keep our families together. The churches that once dominated our skylines are now dwarfed by buildings dedicated to banking, insurance, and other passing worldly affairs. Our houses, with their great rooms, cathedral ceilings, and granite countertops, are monuments to our wealth. But inside, these houses are not homes; they are often filled with division and sterility. Despite all our monetary wealth there is little wisdom; despite all our power there is little prudence. From an eternal perspective our smarts amount to sandcastles on the beach that are sure to be washed away. Ultimately they cannot stand any more than can we. Scripture warns of the human tendency to maximize the minimum and minimize the maximum. We are smart, but about the wrong things. Our priorities are misguided. Woe to you, teachers of the law and Pharisees, you hypocrites! You give a tenth of your spices—mint, dill and cumin. But you have neglected the more important matters of the law—justice, mercy and faithfulness. You should have practiced the latter, without neglecting the former. You blind guides! You strain out a gnat but swallow a camel (Matt 23:22-24). But God said to [the rich man who built barns], “You fool! This very night your soul is required of you; and now who will own what you have prepared?” So is the man who stores up treasure for himself, and is not rich in what matters to God (Luke 12:20-21). For the people of this world are more shrewd in dealing with their own kind than are the people of the light (Lk 16:8). For everyone looks out for their own interests, not those of Jesus Christ (Phil 2:21). But mark this: There will be terrible times in the last days. People will be lovers of themselves, lovers of money, boastful, proud, abusive, disobedient to their parents, ungrateful, unholy, without love, unforgiving, slanderous, without self-control, brutal, not lovers of the good, treacherous, rash, conceited, lovers of pleasure rather than lovers of God— having a form of godliness but denying its power. Have nothing to do with such people (2 Tim 3:1-5). How prosperous Israel is—a luxuriant vine loaded with fruit. But the richer the people get, the more pagan altars they build. The more bountiful their harvests, the more elaborate their pagan pillars. Their heart is false; now they must bear their guilt. The LORD will break down their altars and destroy their pillars (Hosea 10:1-2). A discerning person keeps wisdom in view, but a fool’s eyes wander to the ends of the earth (Proverbs 17:24). They are ingenious in their wickedness (Romans 1:30). In other words, we humans tend to get smartest about the least important things, and are foolishly forgetful of eternal things—the things that matter most. Yes, we maximize the minimum and minimize the maximum. There are some who know everything there is to know about football, or who’s who in Hollywood or politics, but are at a loss when it comes to the most basic spiritual concepts, biblical stories, or moral teachings. Hours are consumed by sports, television, and politics, but there is no time for prayer. Well, you get the point. We are smart, but about the wrong things. Meanwhile we remain foolishly out of touch with the things that matter to God and that last unto life eternal. I thought of all this when I saw the following commercial, which appeared recently in my YouTube queue. It features men who have developed every talent imaginable related to beer. Now I have nothing against beer in moderation. But allow the beer to represent the things of this world. And thus we see humorously illustrated our tendency and capacity to become very talented in worldly things. But at the end of the day, it’s just beer; it’s just the world, a world that is passing away. Are we as talented and ingenious about spiritual things? The Photo at right is me at 5 years old, my dad to the right was 38, my grandfather was 68. All three of us were named “Charles Evans Pope.” Now they’re both gone on, and its just me. The world laments age and death, But as I look at this photo I rejoice for them and myself. They were men of faith, their journey is done, and my is well past noon. And as I journey in their wake, I marvel at what the Lord is doing for me. Yes, as for me, I must say, I’m glad I’m getting older. I know, you’ll say, “At 50 you’re just a child.” But I am not child, I’m half past dying and celebrating that God has brought me a mighty long way. Yes, I’ve discovered that the gifts of God have come more alive in me as my youthful vigor has dissipated. I see those old pictures of myself in my twenties, looking young, tan and trim, now I’m old(er), white and fat. But though my body has gone south for the winter of life, now my soul has come alive as never before. St. Paul says, Therefore, we are not discouraged; rather, although our outer self is wasting away, our inner self is being renewed day by day (2 Cor 4:16). Yes, indeed, I am a witness. I have to admit, my body isn’t exactly wasting away (it actually tends to gain weight), but it surely is not the sound sleek body of my youth. But this I can surely attest, my inmost self is being renewed and strengthened with each passing day. I have become more prayerful, more joyful at what God is doing, more aware of his presence and his ways. I am seeing sins put to death and better things come alive.I am less fearful, more confident, less angry, more serene. Inverse proportionality – Yes, even though my physical stamina is less, I get winded climbing stairs now, my spiritual strength is better than ever. At age 50, I am more alive than I was at age 20. Glory be to God! I would never want to be 20 again, the Lord has just brought me too far and done too much for me, to ever want to set the clock back again. A few particulars occur to me that suggest an inverse proportion between youthful vigor and spiritual growth. My physical eyesight has become very poor. I am quite crippled without my glasses now. Until forty I did not wear glasses at all. But since forty I have come to place where, without my glasses everything is just a hazy blur. And yet, I spiritually see things I never did before. The word of God jumps off the page in new ways. There are new insights, new enlightenment as to what God is saying. I rejoice in this new inner vision that has come upon me in this second half of my life and I look with great expectation to the even deeper vision He will give me as I age. My hearing has become poorer with the onset of middle age. I have had a certain hearing loss since birth but now it becomes worse. But here too, I have learned to listen more attentively and to look at others while they speak. This connects me more deeply to them. I also have new insights into the people I am privileged to know. I have come to appreciate how wonderfully quirky we all are and how closely related our gifts are to our deficits. Though my physical vision is poor, my insight into the glory and the struggle of those closest to me is a gift I appreciate and hope to see grow even more with the passing years. Even as my physical hearing has diminished, my spiritual hearing has become far more acute. I hear things in God’s word I never did before. I hear God speaking to me on my spiritual walk with greater sensitivity. We have very good lectors and a marvelous choir in my parish and I marvel at what I hear from them each Sunday. Faith comes by hearing, and as I age I am more sensitive to what I hear at Mass and in sacred moments. When I was young, I was tuned out at Mass. The priest was just “some dude” up there talking and the Choir, well they weren’t singing rock, so what did it matter. But God has opened my ears as I have aged to appreciate his voice in newer and wider ways. Thanks be to God. He speaks to me throughout my day and I hear his voice more consistently. As I age, I am less physically able to accomplish things I once did on my own. I now fear heights and can’t climb tall ladders. I have a hard time lifting heavy things without injury. But all this has made me more humble and more appreciative of the help that others can give. Gratitude and an proper sense of interdependence are a gift I have discovered with age. In the gift of age God has helped me be more grateful and connected to others. As I age and become less physically “glorious,” I appreciate more deeply the beauty and glory of Creation. Indeed, it astounds me in new ways. Each new discovery shouts out the glory of God to me. I am far more appreciative of the present glory of God than I ever was as a youth, when the focus was more on me. Now simple things, like the color purple, the magnificence of Spring, the quiet still after a heavy snow, the wonder and awe created by watching a science channel show on the mysteries of the deep oceans. As I have become more vincible and fragile with age, the world far more astonishes me and makes me cry, Glory to God! As I have aged I have discovered limitations. But this has made more humble and understanding of the struggles of others. When I was young I was impatient. There was little I could not do, or at lost thought I could not do. But, now, experiencing more of my limits I have seen compassion and understanding awaken in me, patience too. As I have aged, I am more easily fatigued. I usually need an afternoon nap and am blessed to be able to take one, living as I do “above the store.” It’s the only way I can get through my evening appointments. Yet, what a gift a nap is. I am mindful of Psalm 127 which says, In vain is your earlier rising, your going later to rest, you who toil for the bread you eat; for the Lord pours gifts on his beloved while they slumber (v. 4). Yes, God does pour his gifts on us even when we slumber. And as I age a I grateful even for the gift of a brief rest. More could be said. I am glad to be getting just a bit older. I am running to meet God, and every day brings me closer. I can’t wait to see Him. I am like a child in Mid December who can’t wait for Christmas morning. That the days speed by more quickly only increases the longing for me. Each day, each step, closer to God. And while my body goes south, my soul looks up. The weaker my physical flesh, the stronger my spirit and soul. The weaker my eyes, the deeper my spiritual vision and insight. The duller my physical hearing, the more intent my spiritual ears. God is good, he takes the one gift and returns another and greater gift. I’m running to meet God. Age is a glorious thing, bring it on! This song says, Sicut cervus desiderat ad fontes aquarum,ita desiderat anima mea ad te, Deus. (As the deer longs for running water, so longs my soul for you, O God). The text is from Psalm 42:1 I would compare the song to a musical sigh. Palestrina has captured well the longing of the human heart for God here. Another gift that I think comes with age. I suppose it is hard to simply define what it means to have suffered. Here in America there are not many priests who have recently come from a gulag. But suffering comes in different ways and I have found it is possible to tell those who have been tempered by its schooling. There is a true wisdom that comes from suffering. Perhaps we wish it were different but most of us know that our sorrows and crosses have usually been our best teachers. There is a test in every testimony. The text above says wisdom puts us to the test, fear and even dread are brought upon us and discipline is insisted upon. Only then does wisdom open her treasures and reveal her secrets. Where would I be today without my crosses? What knowledge and wisdom would I lack without the challenges and difficulties that caused me to ask questions and passionately seek answers. When you suffer, platitudes aren’t enough, slogans won’t do. You have to go deeper, search for real answers and often learn that there are no simple answers. Suffering also unlocks an acceptance of paradox and an appreciation that all is not as it seems and some of God’s greater gifts come in mighty strange packages. Suffering can also teach silence and waiting. Great wisdom is found in these virtues. Suffering bestows insight, trust and serene peace. Only after years of suffering could Joseph stand before his criminal brothers and say, “You meant it for evil, but God meant it for good.” (Gen 50:20). Suffering does that, it teaches the deeper things, the harder things, the better things. In seeking counsel, look for those who have suffered. It is not the only thing, to be sure. For some have suffered and only grown resentful and despairing. But there are those unique and beautiful souls who, tempered by suffering, and steeled by faith have come to a place where wise counsel has found a stable home. Seek them. And, dare I say, seek to be among them, as one of their number. As a teenager I remember resenting how adults would try and prevent me from doing what I pleased. They would often warn me not to “learn the hard way” that something was wrong. I would often be told that I should learn from them and their experiences not to make the same mistakes they did. The rebel in me thought that it might be fun and pleasurable to “make a few mistakes of my own.” Of course I pridefully thought that I would escape the consequences. In the end of course they were right, and one the most valuable gifts I have received from others to have learned from their experience. 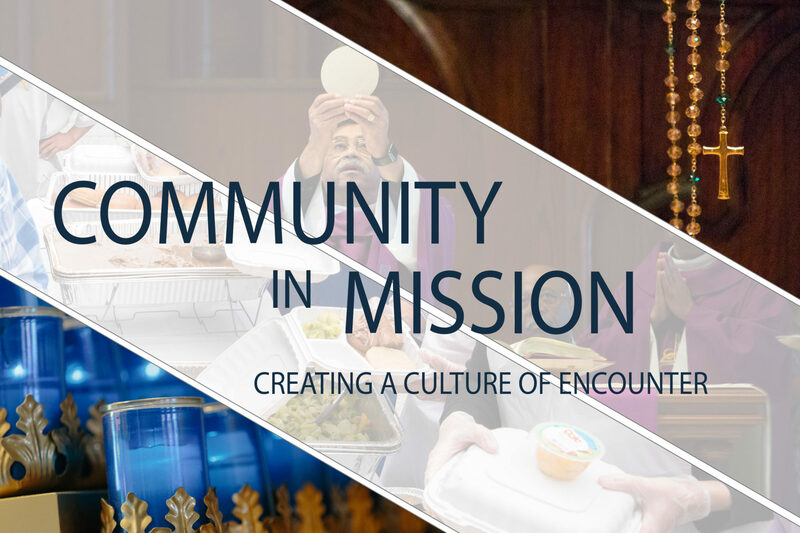 As a pastor too I must say that my staff has preserved me from innumerable errors through their expertise and long experience with the parish. The word “experience” comes from the Latin experientia, meaning the act of trying or testing. More deeply it comes from two Latin words, ex (out of) + periri (which is akin to periculum, meaning peril or danger). Hence “experience” refers to those have endured trials, perils, testing, and dangers, and speak out of these to us so we don’t have to endure such things. It is a very great gift! The Church too offers us the great gift of long experience. Indeed, one of the great advantages of making our home in the Catholic Church is that we are at the feet of a wise and experienced teacher who has “seen it all.” The Scriptures, the Catechism, the lives of the Saints, all the Church’s teaching, is a wealth of knowledge and collected experience for us. Through this vast treasury The Church, as a good mother and teacher, helps us to learn from the experiences of others. The other day a well-known writer, otherwise quite well-informed, said that the Catholic Church is always the enemy of new ideas. It probably did not occur to him that his own remark was not exactly in the nature of a new idea. …Nevertheless, the man who made that remark about Catholics meant something….What he meant was that, in the modern world, the Catholic Church is in fact the enemy of many influential fashions; most of which … claim to be new. [But] nine out of ten of what we call new ideas, are simply old mistakes. The Catholic Church has for one of her chief duties that of preventing people from making those old mistakes; from making them over and over again forever, as people always do if they are left to themselves….There is no other case of one continuous intelligent institution that has been thinking about thinking for two thousand years. Its experience naturally covers nearly all experiences; and nearly all errors. By this means, it does prevent men from wasting their time or losing their lives upon paths that have been found futile or disastrous again and again in the past, but which might otherwise entrap travelers again and again in the future. I have a love/hate relationship with slogans, philosophies of life, and pithy sayings. At one level I like the way they make me think. They sort of reduce all the complicated ways we think of things to a simple thought or insight. It’s good for a moment to cut through all the noise and consider “just one thing.” But that’s also my problem with these things. In reducing everything to one thing we lose the essential nuances and the sophistication that accept that not everything fits into a nice little saying. For example, consider the saying “All things in moderation!” Well yes, moderation is a good thing most of the time. But there is also a time to throw moderation to the winds and become passionate about things. There is a time to fight (or celebrate) with gusto. Maybe its a fight for justice, or maybe we’re called to sell everything for the “pearl of great price.” So all right, “All things in moderation,… including moderation!” Anyway I hope you get the point about sayings and slogans: enjoy with caution and careful consideration. The following video contains a very good collection of “philosophies of life.” Many of them I have never seen before and some of them are quite good. But remember, like analogies, many of the things said in them are as untrue as they are true. Consider them as a way to make you think: what is true about this saying? What is untrue? What distinctions are necessary, especially for a Christian? So think. But don’t think so hard that you fail to enjoy. Take what you like, take what is true and leave the rest.